A rigorous and transparent system for approving new undergraduate and graduate academic programs demonstrates accountability to the public and to current and prospective students. Within the university's commitment to the principle of academic freedom, the approval process should be open, objective, analytical, and constructive. The components of the program approval process have been mandated by the Ontario Universities Council on Quality Assurance (Quality Council) of the Council of Ontario Universities. 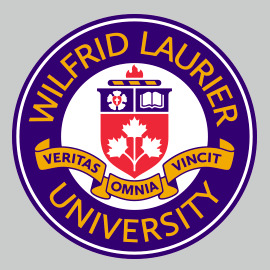 Wilfrid Laurier University’s Institutional Quality Assurance Procedures, comprising this policy and policy 2.1, were ratified by the Quality Council on June 20, 2011 (with re-ratification on November 15, 2012, March 13, 2014 and March 20, 2017). The Institutional Quality Assurance Procedures are subject to approval upon revision and will be audited by the Quality Council on an eight-year cycle. The administration of the approval process for new degree programs, new for-credit graduate diplomas, and major modifications to existing programs is the responsibility of the Provost and Vice-President: Academic (the “Provost”) who is the sole contact between the university and the Quality Council. The development of proposal documents for all undergraduate and graduate programs is overseen by the Quality Assurance Office in conjunction with the Associate Vice-President: Teaching and Learning, the Dean of Faculty of Graduate and Postdoctoral Studies (for graduate programs), and the appropriate Faculty dean (for undergraduate programs). The Program Review Sub-Committee of the Senate Academic Planning Committee, supported by the Quality Assurance Office, is responsible for managing the program approval process. The Senate Finance Committee is responsible for considering the business plan and financial implications of new programs, and major modifications, as applicable. The Senate Academic Planning Committee is responsible for the final recommendation of approval of a new program to Senate. 1. The first step in the new program development process is to prepare a Statement of Intent and present it to the Divisional/Faculty Council for approval (as an embargoed1 document). The Statement of Intent (accompanied by a letter of support from the relevant dean(s)) should then be submitted to the Faculty / Divisional Council and to the Senate Academic Planning Committee for approval (as an embargoed document). The Statement of Intent shall be submitted to Senate for information. 2. Subject to approval of the Statement of Intent and in accordance with Section D below, new program proposals shall be prepared by a program curriculum committee or like body after consultation with students and other relevant communities. These communities may include academic departments or programs within the university, as well as stakeholders in the broader community. One author whose responsibility it is to assemble all material and shepherd a proposal through the various approval bodies must be identified and recorded on the document. This author may be a chair or program coordinator or other designated lead person. In the case of joint programs involving other institutions, one proposal may be prepared for all participating institutions’ review bodies as long as the information required by this policy is included. Program curriculum committees may be developed de novo in order to prepare proposals for new programs without a pre-existing home in an academic unit. 4. Once completed, the proposal shall be reviewed and recommended (as an embargoed document) in accordance with usual department/program/faculty procedures for curriculum, and then approved by the Faculty, school, or federated college. A proposal for a graduate program must also be reviewed and approved by Graduate Faculty Council (as an embargoed document). Program proposals will be brought forward by the dean of the Faculty responsible. Graduate program proposals shall be presented by the Dean of the Faculty of Graduate and Postdoctoral Studies. 5. A full proposal shall be submitted to the Program Review Sub-Committee to assess its completeness and appropriateness relative to the university’s mission, strategic academic plan, and standards of quality. This sub-committee shall decide if the proposal is ready for external review and communicate its decision to the Senate Academic Planning Committee. 6. The Program Review Sub-Committee shall review the program’s suggestions for external reviewers (in camera) and select a review committee from the names supplied or request additional nominees. Reviewers must meet the qualifications and requirements specified in section E below. 7. After external review and a response to the External Reviewers’ Report by the university, the Senate Academic Planning Committee shall review the complete program proposal package (as an embargoed document) and make a recommendation to Senate. 8. The Senate Finance Committee shall assess the resource implications of the proposed program, and make a recommendation to Senate. 9. Senate is responsible for approving the program proposal, following which the proposal ceases to be embargoed. 10. Following Senate approval, a complete program proposal package shall be submitted by the Quality Assurance Office to the Quality Council of the Council of Ontario Universities for approval and to the Ministry of Advanced Education and Skills Development (MAESD) for funding approval (as applicable). 11. The chair or co-ordinator of a new program shall submit brief update report(s) to the Program Review Sub-Committee at the end of the second and fourth year of an undergraduate program or at the end of the first two years for a master’s program and three years for a doctoral program. This report shall include enrolment numbers by year and a comment on the adherence to the goals of the program as set out in the initial proposal. Once the program enrols students, it will also be entered into the schedule of cyclical program reviews. All programs must be reviewed within eight years of their initial approval or last review. 1As per the Senate By-Laws and Regulations (Article 4.11), materials that impact the strategic or competitive position of the University are considered embargoed, and access will be restricted to members of the university community. Additionally, material pertaining to cyclical reviews and new programs may be automatically embargoed, and the embargo will end upon a final decision by Senate. a. Consistency with Wilfrid Laurier University’s Vision, Mission, Values and Strategic Academic Plan. b. Clarity and appropriateness of the program’s requirements and program-level learning outcomes addressing Laurier’s undergraduate (UDLEs) or graduate (GDLEs) degree level expectations. c. Consistency with provincial, national, international and professional standards (if applicable). d. Appropriateness of degree nomenclature considering disciplinary traditions and requirements. a. Appropriateness of the program’s admission requirements for the learning outcomes established for completion of the program. b. Sufficient explanation of alternative requirements, if any, for admission into a graduate, second-entry, or undergraduate program, including minimum grade point average, additional languages, portfolios or creative work, along with how the program recognizes prior work or learning experience (consult the undergraduate and graduate academic calendars for minimum university requirements). a. Appropriateness of the program's structure and regulations to meet specified program-level learning outcomes and degree level expectations. b. For graduate programs, a clear rationale for program length that ensures the program requirements can be reasonably completed within the proposed time period. a. Ways in which the curriculum addresses the current state of the discipline or area of study. b. Employment of unique curriculum or program innovations or creative components. c. For research-focused graduate programs, clear indication of the nature and suitability of the major research requirements for degree completion. These include thesis and major research paper options and also course components designed for the development of critical and analytical skills. d. For graduate programs, course offerings designed to ensure that each student in the program is able to meet the Quality Council requirement that a minimum of two-thirds of required coursework consist of graduate-level courses. Appropriateness of the proposed mode(s) of delivery to meet the intended program-level learning outcomes and degree level expectations: e.g., classroom format, online, blended, community service, problem-based, compressed part-time, multi-campus, inter-institutional. a. Description of the assessment methodologies that will be used to evaluate student learning within the program. b. Explanation of the alignment between these assessment methodologies and the intended program-level learning outcomes and degree level expectations. c. Explanation of how the program will measure and document successful achievement of program-level learning outcomes and degree level expectations. a. Adequacy of the administrative unit’s planned utilization of existing human, physical and financial resources (indicating, where appropriate, if the program will be cost recovery) and any institutional commitment to supplement those resources, to support the program. b. Participation of a sufficient number of faculty who are competent to teach and/or supervise in the program. Faculty participating in graduate programs must be appointed to the Faculty of Graduate and Postdoctoral Studies. c. Evidence that there are adequate resources to sustain the quality of students’ scholarship and research activities, including library support, information technology support, and laboratory access. a. Evidence that faculty have the recent research or creative/professional/clinical expertise needed to sustain the program, promote innovation and foster an appropriate intellectual climate. b. Where appropriate to the program, evidence that financial assistance for students will be sufficient to ensure adequate quality and numbers of students. c. Evidence of how supervisory loads will be distributed, and the qualifications and appointment status of faculty who will provide instruction and supervision. Faculty participating in a graduate program must be appointed to the Faculty of Graduate and Postdoctoral Studies. d. provision of supervision of experiential learning opportunities (if applicable). a. Evidence of the quality of the faculty, with reference to qualifications, research, innovation and scholarly record; appropriateness of collective faculty expertise to contribute substantively to the proposed program. b. Evidence of a program structure and faculty research that will ensure the intellectual quality of the student experience. The template for new program proposals must be used to prepare the brief. Proposals for new degree programs (categories 1, 2, and 4 in section I, Objectives) follow all of the following procedures. For proposals for new collaborative programs and new graduate diplomas (categories 3, 5 and 6) proceed to step H below (Program Review Sub-Committee Recommendation to the Senate Academic Planning Committee). External review is required only for new graduate and undergraduate program proposals (including new undergraduate majors). if appropriate for the program being reviewed, a list of at least four representatives of industry, the professions, and/or practical training programs. In keeping with the requirement that reviewers must be at arm’s-length, the academic unit(s) shall not contact the reviewers directly but shall submit the names of prospective reviewers to the Quality Assurance Office. The Quality Assurance Office shall contact the nominees to determine their interest and availability and collect the information to complete the required Volume III template. For joint programs, the university shall consult with the office of the Provost, or equivalent, at partner institutions. From the lists of nominees, the Program Review Sub-Committee shall select at least one internal reviewer from outside the academic unit(s) proposing the program and one external reviewer for undergraduate programs, and two external reviewers for graduate programs. If the Sub-Committee is not satisfied with the appropriateness of the nominees, they may request additional names from the academic unit. The Sub-Committee shall submit the list of reviewers to the Senate Academic Planning Committee for information. respect the confidentiality required for all aspects of the review process. These expectations shall be conveyed to the reviewers in written instructions and face-to-face meetings with the relevant dean(s) and the Provost (or Associate Vice-President: Teaching and Learning). The Provost or the Associate Vice-President: Teaching and Learning shall also be responsible for providing the reviewers with explicit instructions that the program is to be evaluated against the criteria listed in C above. The internal and external reviewers shall evaluate the Program Proposal Brief and may request additional information (programs must inform the Quality Assurance Office of any additional information provided to the reviewers). They shall spend one to two days visiting the academic unit(s) proposing the program. The reviewers shall meet with the Provost; Associate Vice-President: Teaching and Learning; faculty, staff, and undergraduate and graduate students within the unit (where applicable); the deans of the relevant Faculties; the chair/director of the unit proposing the program and of any collaborating units (for interdepartmental programs); the University Librarian; and any other members of the university community who can provide needed information. The reviewers shall prepare a final report, which must be submitted to the Quality Assurance Office within four weeks following the site visit. In the written report, the reviewers should comment on compliance with all evaluation criteria, note any clearly innovative aspects of the proposed program, and make recommendations on essential and desirable modifications to the proposal. answers to all questions and responses to all recommendations and suggestions raised by the reviewers. At this time, the program shall make any necessary revisions to the program proposal and forward them to the Quality Assurance Office. The author of the proposal brief shall be invited to attend the meeting to present the proposal and answer any questions. If the Senate Academic Planning Committee recommends approval of the proposal, and the provost concurs, the proposal will move forward to the Senate Finance Committee for consideration. The recommendation of the Senate Academic Planning Committee shall be communicated to Senate. A meeting of the Senate Finance Committee shall be held to consider the financial implications of a new program proposal, and major modifications, as applicable. The author of the proposal brief shall be invited to attend the meeting to present the proposal and answer questions from the committee. The recommendation of the Senate Finance Committee shall be communicated to Senate. The new program proposal shall be presented by the dean(s) responsible for the units proposing a new undergraduate program, and by the Dean of the Faculty of Graduate and Postdoctoral Studies, in the case of graduate programs. Following Senate approval, the complete program proposal package will be forwarded by the Quality Assurance Office to the Ontario Universities Council on Quality Assurance for approval. If approved, programs must commence within 36 months of Quality Council approval, or the approval will lapse. All new program proposals (for non-core undergraduate programs or for graduate programs) which require operating grant funding must be submitted to the MAESD for funding approval. The required information will be provided by the relevant chair/coordinator/dean to the Quality Assurance Office who will prepare the submission for the MAESD. The Provost will present an annual report to the Board of Governors, detailing all new programs approved by Senate and the Quality Council. The chair or co-ordinator of a new program shall submit brief update report(s) to the Program Review Sub-Committee at the end of the second and fourth year of an undergraduate program, or at the end of the first two years for a master’s program, and three years for a doctoral program. This report shall include enrolment numbers by year and a comment on the adherence to the goals of the program as set out in the initial proposal. Once the program enrols students, it will also be entered into the schedule of cyclical program reviews. All changes to existing programs, as well as proposals for new joint or collaborative programs, and diplomas, shall be approved by Senate according to the procedures outlined below. The types of major modifications listed below in a. Program Changes do not require approval by the Quality Council. Those outlined in b. Expedited Review do require submission to the Quality Council for approval. All major modifications are reported annually to the Quality Council. Major modifications will be discussed and approved on the basis of its rationale, alignment with the university’s Strategic Academic Plan, impact on the program’s learning outcomes, and the impact on resources. Major modifications can be characterized as significant changes that have program-wide impact through either major changes to the courses offered and/or program requirements. The following list is not exhaustive and units are encouraged to consult with the Quality Assurance Office if they have any questions about how to classify curriculum changes for which examples are not given. (i) Requirements that differ significantly from those existing at the time of the previous cyclical program review. The academic merger of two or more programs. The closure of a program (please refer to Article 23 of the WLUFA Collective Agreement). The introduction or deletion of graduate program fields. The introduction of a Collaborative Specialization in a graduate program. The addition of a college certificate into an undergraduate program. The addition of new bridging options for college diploma graduates. Significant changes to the laboratory component of an undergraduate program. The introduction or deletion of an undergraduate thesis or capstone project. The introduction or deletion of a work experience, co-operative education placement, internship or practicum, or portfolio. At the master’s level, the introduction or deletion of a research project, research essay or thesis, course-only, co-op, internship or practicum option. Any change to the requirements for graduate program comprehensive or other examination requirements, field studies or residence requirements. Major changes to courses comprising a significant proportion of the program (typically, one-third or more). The addition of a new minor, option, concentration or specialization. Major changes to an existing minor, option, concentration or specialization. (ii) Significant changes to the learning outcomes. (iii) Significant changes to the faculty engaged in delivering the program and/or to the essential resources as may occur, for example, when there have been changes to the existing mode(s) of delivery (e.g. different campus, online delivery, inter-institutional collaboration). Changes to the faculty delivering the program: e.g. a large proportion of the faculty retires; new hires alter the areas of research and teaching interests. A change in the language of program delivery. The establishment of an existing degree program at another institution or location. The offering of an existing program substantially online where it had previously been offered in face-to-face mode, or vice versa. Change to full- or part-time program options, or vice versa. Changes to the essential resources, where these changes impair the delivery of the approved program. If the university requests it, Quality Council approval of any of the program changes listed above (for the process, see steps 5 and 6 below). Proposals for major modifications of any type must be prepared by a program or academic unit’s curriculum committee or like body after consultation with other relevant communities. These communities may include academic departments or programs within the university, as well as stakeholders in the broader community such as partners in joint programs. When appropriate, the proposal shall be reviewed and approved by the department or equivalent curriculum committee. Proposals shall be approved by department or equivalent councils prior to being forwarded to divisional curriculum committees. Proposals shall be reviewed by the divisional curriculum committee, and then approved by the Faculty, school, or federated college divisional council. Changes to graduate programs must also be reviewed and approved by Graduate Faculty Council. Proposals shall then be submitted to the Senate Academic Planning Committee by the responsible Faculty for review and approval. Proposals for changes to graduate programs shall be presented by the Faculty of Graduate and Postdoctoral Studies regardless of the program’s home. Proposals with significant resource implications shall also be reviewed by the Senate Finance Committee. The Provost, on the recommendation of the Senate Academic Planning Committee, will determine which curriculum changes are major modifications and, of those major modifications, which ones should be submitted to the Quality Council for expedited review. When expedited review is deemed necessary, the department or equivalent shall prepare a proposal brief which addresses the relevant evaluation criteria as outlined in II(C) above. Approved proposals for major modifications, along with the Provost’s recommendation on expedited review, will be brought forward to Senate and presented by the Faculty responsible. Major modifications are reported annually to the Quality Council. Minor curriculum changes (either substantive or editorial) must be approved by the university, but Quality Council approval is not required. other changes which may result in additional or reduced resource requirements. Editorial: all other minor curriculum changes (e.g. course addition, change to course element, course deletion), including editorial changes to curriculum material. The process for the approval of substantive minor changes is the same as for major modifications, except that reporting to the Quality Council is not required. The process for the approval of editorial minor curriculum changes follows the same processes as above, except that they are approved by the Senate Academic Planning Committee under delegated authority. Reporting to the Quality Council is not required.